It was a packed house at Lansdowne Resort on Friday, as more than 500 attendees gathered for the ninth annual Virginia Women’s Business Conference. Hosted by JP Events & Consulting, the daylong event featured a slew of workshops, networking opportunities and exhibitors. The pinnacle of the event each year is the mid-day lunch break where the keynote speaker sends attendees on a charge for the latter part of the afternoon, and going forward. A customer service-first attitude, not to mention her cheery, upbeat personality, made her a natural fit as a flight attendant, a career she began just a few months before the terrorist attacks of Sept. 11, 2001. She found her personality tested in air travel, when passengers can be irritable or altogether rude. One particular encounter, shortly after 9/11, still stands out to her. She saw a man board the plane, departing New York, with only a plastic garbage bag, which he proceeded to stuff into an overhead bin and then stand in the aisle with his hand holding the bin down. Somewhat alarmed, given the recent terrorist attack, she politely asked the man if he was traveling for business or pleasure. “Neither,” he said. Rather, he had come to New York solely to collect his late firefighter son’s personal belongings. He had perished at Ground Zero. The lunchtime session also served as a time to recognize some stellar local women. 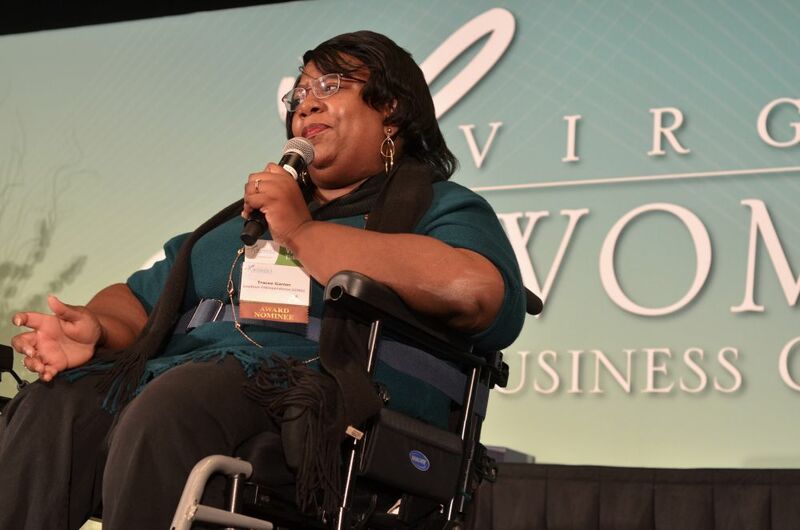 Tracee Garner was awarded the Stellar Woman of the Year award, recognizing her work in the disability community. Diagnosed with muscular dystrophy at age 2, she has used her own disability to be a voice for others, both as the outreach coordinator for Loudoun ENDependence and as a community partner with the county’s Disability Services Board. Garner is also an award-winning and best-selling author, with eight books under her belt. 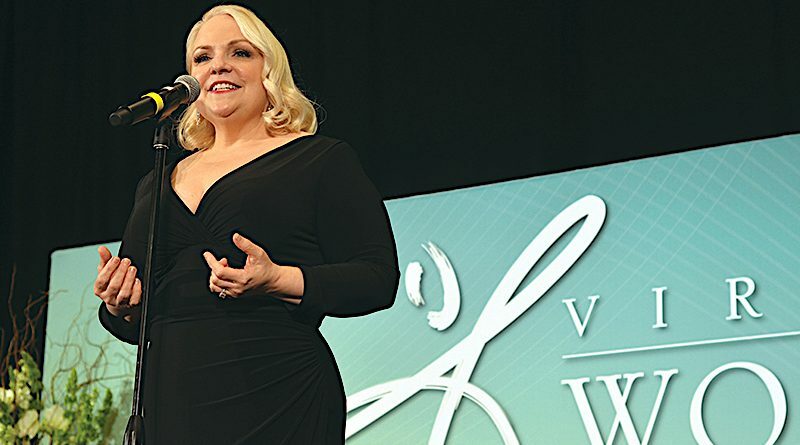 The Virginia Women’s Business Conference began presenting the Stellar Woman of the Year awards in 2012 to honor and recognize women for their outstanding achievements in business, support of women and contributions to the community.